Chimney Caps | Discount Chimney Supply, Inc.
Chimney caps come in many sizes and styles. 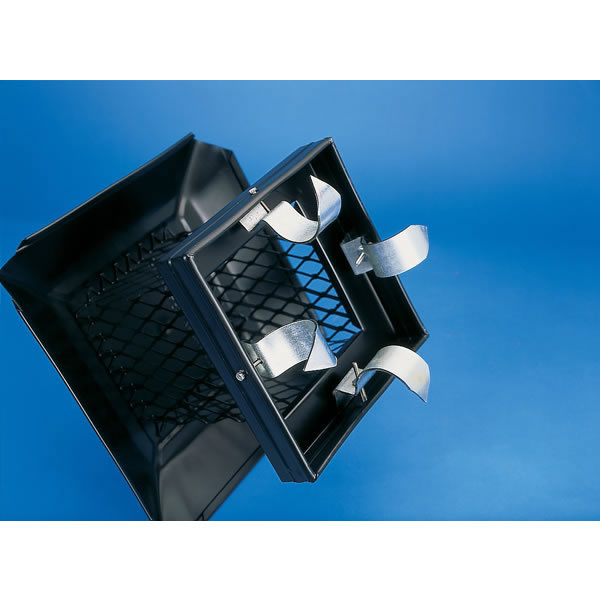 Our typical "Single Flue caps" are designed to attach to a raised masonry "flue tile" (pictured below, left). Most designs use pointed set screws that are tightened into the hardened clay material of the flue tile and can be coupled with an adhesive for added security. If you have a masonry chimney with a tile that is flush or no longer protrudes you would need "multi-flue" cap or a set of "flue grippers to add to a single flue cap to adapt to this application. The "grippers" are from our experience, not as reliable as the other options. 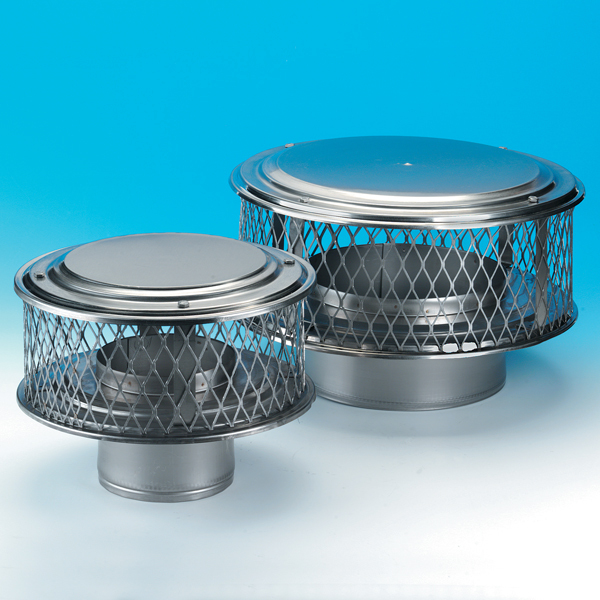 Multi-flue chimney caps can be ordered in many sizes, heights, and styles. Our "Semi-Custom" caps are generally the most affordable option and have the most options available in stainless steel due to the manufacturing process and minimal price difference. These are "top mount" design which mounts with vertical anchors through the mounting tab of the cap into the top (crown) of the chimney (pictured below, right). Adhesive can also be used for added security. The tabs swing in and out to any degree on most of our multi flue chimney caps and the lid can be removed for installation access and chimney cleaning. Chimney caps help prevent lit embers or sparks that travel up the chimney from landing on the roof and possibly catching it on fire. 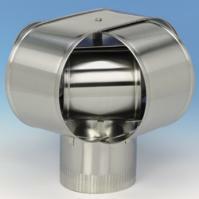 One important reason to add a chimney cap is that it can increase the lifetime of your chimney liner. Water and debris getting into the chimney liner can cause it to deteriorate, especially in chimneys with clay liners. By adding a chimney caps, you are increasing the life and effectiveness of your chimney liner. We offer a wide selection of chimney caps in all styles. Choose from brands like Gelco and Homesaver, in galvanized, stainless steel, and copper. We can also do custom sizes and chase covers, just e-mail us for a quote. 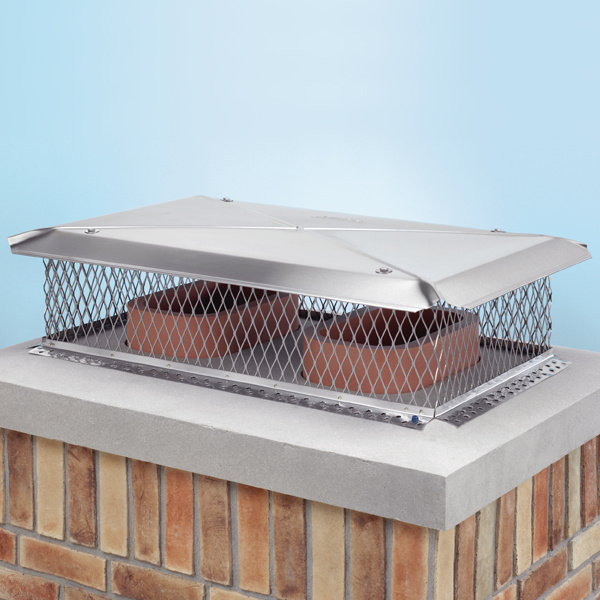 Protect your chimney from undesirable sparks and animal intrusion; prevent the rush of smoke to other rooms by purchasing our efficient chimney caps. 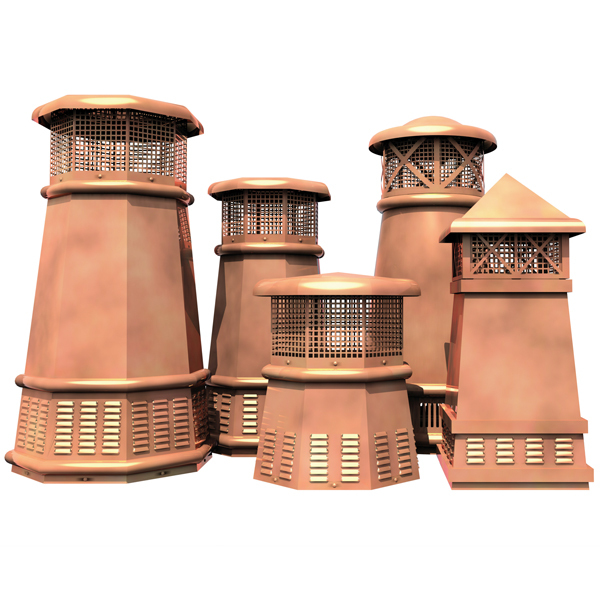 These chimney caps will quadruple the life of your respective chimney liner. Our chimney caps come in various materials, the most widely preferred ones are metals like aluminium, stainless steel and copper and you can choose these metals from our wide variety. Our efficient customer service and response team are available around the clock, so in case of any queries or assistance, you can easily get it resolved. All items ship directly from the warehouse and are usually delivered in three to five business days.